Friendship Inn - We volunteer regularly at the Friendship Inn. Most recently we worked with student volunteers from Sutherland School to serve meals. 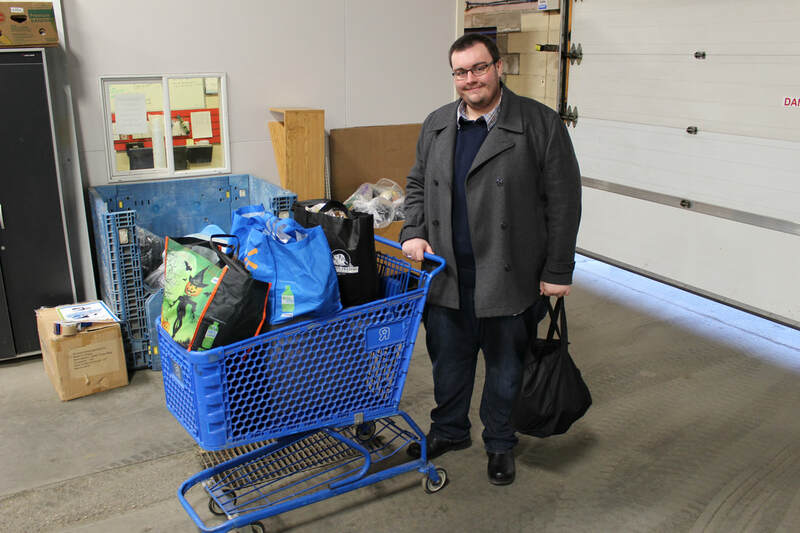 Saskatoon Food Bank - In addition to making an annual financial contribution to the food bank and hosting a food drive at our Christmas Party, our club members provide regular volunteer support sorting food and making food hampers. Salvation Army Christmas Kettles - we provide people-power to ring the bells at various city locations prior to Christmas. Saskatoon Speedskating Club – we provide financial assistance to this organization. Music for the Gut - we sponsor this annual concert. The proceeds go to Crohn's and Colitis Canada. Forestry Farm - we make an annual contribution to the Saskatoon Zoo Foundation at their Zoo Gala. Lions Calvacade for Diabetes - we provide ongoing support to the Lions Calvacade to generate awareness of diabetes in Saskatchewan. STARS - we contribute annually to the Shock Trauma Air Rescue Society's fundraising efforts. Mega Cash Ticket Raffle – we sell tickets for the Mega Cash project. 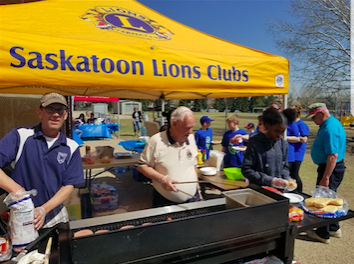 In the past we have raised over $100,000.00 that assisted the City in building a Lions Pavilion at the Saskatoon Forestry Farm Park and and Zoo and assisting the City with the development of the Lions Skateboard Park. This year, the Lions Clubs of Saskatoon are using these funds to help build the Lions Centennial Park, an accessible park, in Kensington.